City Vision welcomes the historic announcement today that the government will officially stump up half the costs of the City Rail Link. This is a major a milestone for Auckland and part of a progressive transport agenda that City Vision is committed to delivering on. Our transport policies and Local Board transport achievements are outlined below. City Vision has backed the City Rail Link (CRL) from day one. The CRL will double the number of trains running through the city and speed up journeys on the entire rail network. We’ve supported the work, led by Mayor Len Brown, to get the government to pay its fair share for the build. We welcomed the government announcement in January to commit to the CRL. We joined the CRL ground breaking for the start of the dig in June and today we’re celebrating a major milestone for Auckland, with the announcement the government has come to the party and will stump up half the cost of the CRL. The CRL is critical if we are going to make progress on giving Aucklanders transport choice, an option to avoid traffic congestion and access to a rapid transport network. Getting the long awaited City Rail Link underway has been a major success of the Len Brown led Council with the firm backing of City Vision and Councillor Mike Lee (City Vision endorsed). We’ve come a long way in six years. 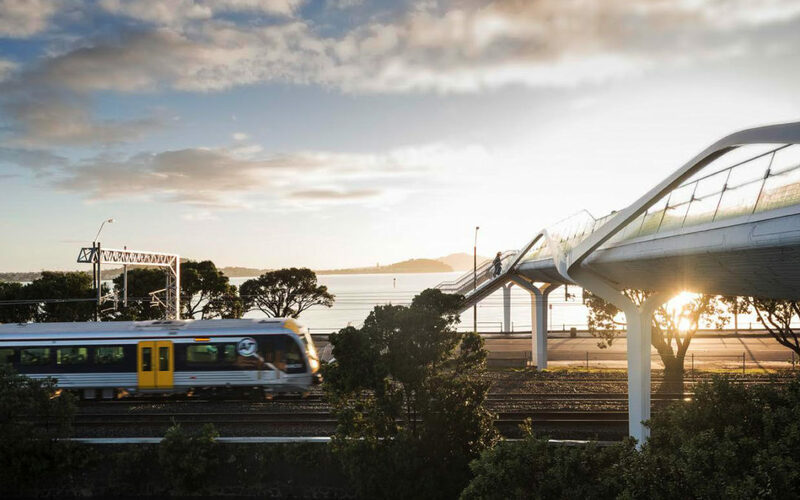 City Vision has supported other significant gains for Aucklanders with the roll out of electric trains, integrated ticketing, backing the Skypath over the Harbour Bridge, and the roll out of the new network with increased bus services. The interim transport levy has provided funding for a programme of cycleways and public transport investment. There is still more to do to deliver real transport choice and solutions. We support Phil Goff’s commitment to get Auckland moving. Were committed to outstanding public transport, the completion of the City Rail Link, modern light rail, and safer roads for walking and cycling. We must elect Local Boards and a Governing Body who can work with the new Mayor to continue delivering a progressive transport agenda. City Vision has a comprehensive transport policy detailed below. We also highlight below the achievements of the City Vision- led Waitematā Local Board and the Roskill Community Voice -led Puketāpapa Local Board. Our vision is for genuine transport choice to move people and goods around our communities and the Auckland region with ease. We will urgently progress major regional projects like the City Rail Link and the airport rail link. We will prioritise public transport and the provision of better bus, ferry, light rail and train services together with integrated ticketing and timetabling, more HOP card outlets, interchange hubs, cycleways and safer walking routes including over the Auckland Harbour Bridge. We will give priority to efficient transport solutions for the movement of freight in and around the region. We will advocate for greater government funding of major regional projects, and for this funding to shift in favour of major regional public transport projects identified by the region. We support re-establishment of a regional fuel tax to broaden Auckland transport funding options. We will advocate that any major new roads, rail, and light rail be paid out of government taxes and a regional fuel tax, as these are fairer than road pricing. We will actively support and fund measures to increase the number of people walking and cycling for recreation, local trips and commuting. We will strongly support the reintroduction of light rail on key north/ south roads on the Auckland isthmus. We will enable the provision of a network of electric car charging stations around the city and utilise electric cars as part of the Council fleet. We will seek to implement the Vision Zero strategy, working towards a safe network of streets in which zero pedestrians or cyclists are killed or seriously injured. We will seek systematically to repair and upgrade unsafe footpaths. We will seek progressively to eliminate hazardous railway level crossings. The Roskill Community Voice Team on the Puketāpapa Local Board has promoted cycling and walking through new connections from Fearon Park northwards, through Lynfield Reserve and the start of the coastal walkway from Onehunga to Blockhouse Bay. Of particular significance are two projects which make much better use of two walking/cycling bridges over State Highway 20. The Mt. Roskill Safer Routes project joins May Road Memorial Park eastward across Dominion Road to the Mt.Roskill Primary, Intermediate and Grammar schools campus and will encourage parents to cut back on car use for trips to school which causes severe congestion at 3pm. The Board supports the Bikes in Schools project which takes 20 or more bikes into schools, teaching children safe riding and bike maintenance. From the campus, Safer Routes crosses State Highway 20 into Keith Hay Park ,where cycling is popular and over Richardson and Hillsborough Roads to the Waikowhai bush reserves. Votes from Roskill Community Voice prevented attempts by C & R board members to delay and redirect the project even after tens of thousands of dollars had been spent on design. The route is on target for a December 2016 finish. The Ernie Pinches to Wesley Community Centre project links the cycleway on the western side of State Highway 20 to the western end of May Road Memorial Park. This provides access to cycling projects further west around Oakley Creek associated with the Waterview Connection, to the north on the Dominion Road Parallel cycleway and to the east with the Safer Routes project. This project has taken a large chunk of the Local Board’s Transport Fund, with several modifications to keep within budget. Young people using the Wesley Community Centre and the Roskill Youth Zone and Wesley Intermediate School should benefit from this work which will begin shortly and should also be complete by December. The growing population of Puketā papa includes large numbers of overseas students who are major bus users. To assist with the demand for buses, the Board has supported Auckland Transport moves to introduce double decker buses on Mt. Eden Road and new bus lanes city bound from Roskill South to Denbigh Avenue (in place) and Denbigh Avenue to Mt. Albert Road (coming soon). Roskill Community Voice board members played a major role in the revamp of the Bus Network for Central Suburbs to be implemented late next year. Lynfield residents were alerted to a plan to curtail the route around Halsey Drive, which would have added considerably to the walk to bus stops, and their submissions saw this proposal overturned. The Board also pushed hard for a link from Lynfield to Blockhouse Bay and New Lynn, providing access to Lynfield College, the Blockhouse Bay Library, movie theatres and the train network. When members pointed out the demand which will be created by the new Ryman Retirement Village on Commodore Drive, Auckland Transport agreed to add a new route to Blockhouse Bay, Avondale and New Lynn. Roskill Community Voice has repeatedly advocated for more retail outlets where bus users can purchase and top up HOP cards. Up until now, the close to 60,000 residents of Puketāpapa have had just two small dairies where they could do this. However , Auckland Transport has just announced a deal for HOP cards with New World supermarkets. In April, the Puketāpapa Local Board passed resolutions warning Auckland Transport of the risks of giving superannuitants only one month to 30 June to get Gold HOP cards or lose their free bus and train trips after 9am. Discussions with Auckland Transport on this helped achieve a mobile service at the Three Kings Library and eventually eight more weeks for the transition. Successfully advocated for improved pedestrian safety such as walking improvements at the Grey Lynn shops and in the city centre. Successfully advocated for the inclusion of a new outcome in the City Centre Masterplan: A walkable and pedestrian- friendly city centre, moving towards zero pedestrian deaths or serious injuries as a result of vehicle collisions.